Celestial Dynasty, the newest kid on the PJ block for Chinese cuisine, has taken over a previous Chinese restaurant recently. 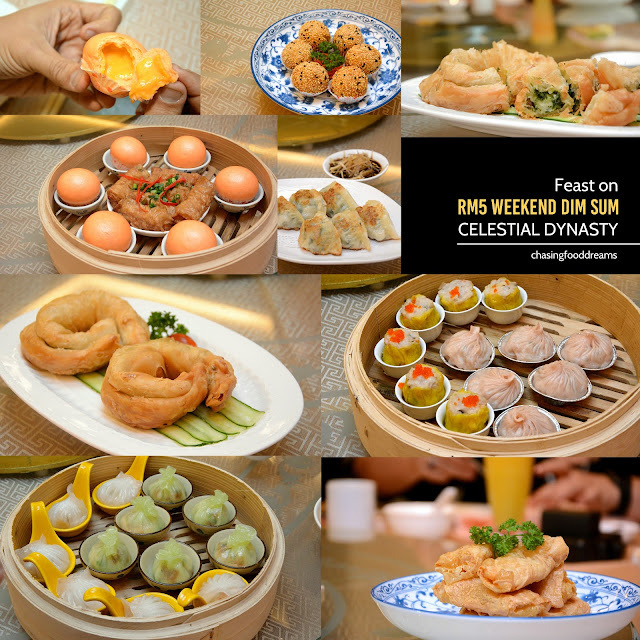 Joining the likes of the other Chinese restaurant groups, Celestial Dynasty aims to serve up scrumptious Chinese cuisine to foodies who enjoy dim sum, Chinese dishes as well as Chinese banquet feast. Located in Section 19 of Petaling Jaya, Celestial Dynasty is set next to Kelab Pelangi. The interior is design with much minimalist and in classic cream and gold enhanced with dark wood finishing. Even the chandeliers selected is of minimalist with contemporary elegance in mind. The dining area is long and spacious with a stage set at the end of the room for banquet usage. The restaurant also offers many private rooms, cleverly segregated by a removal panel that expands the dining room to accommodate more tables for banquet. There are also more private rooms on the next level up. The biggest private room on level 1 seats 20 pax on a grand scale and has a spacious private room for private parties. Celestial Dynasty also has their own wine display case, holding up to many wines to go with their menu pairing. 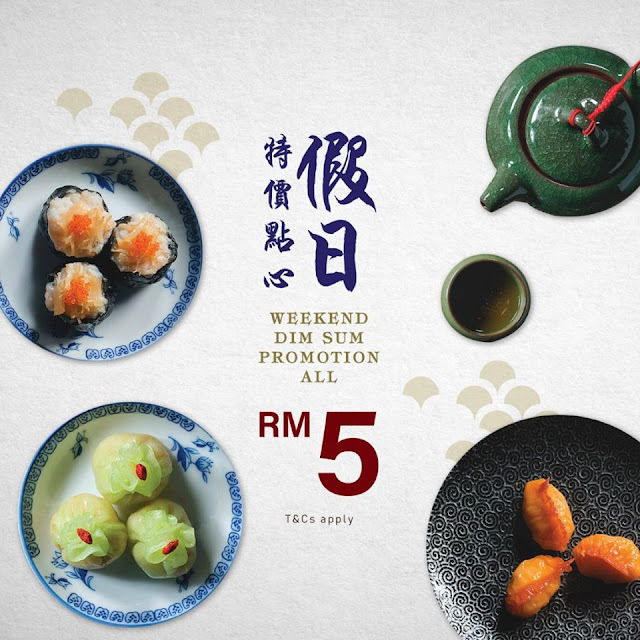 News are already buzzing with Celestial Dynasty RM5 Weekend Dim Sum promotion. It’s a deal not too be missed! 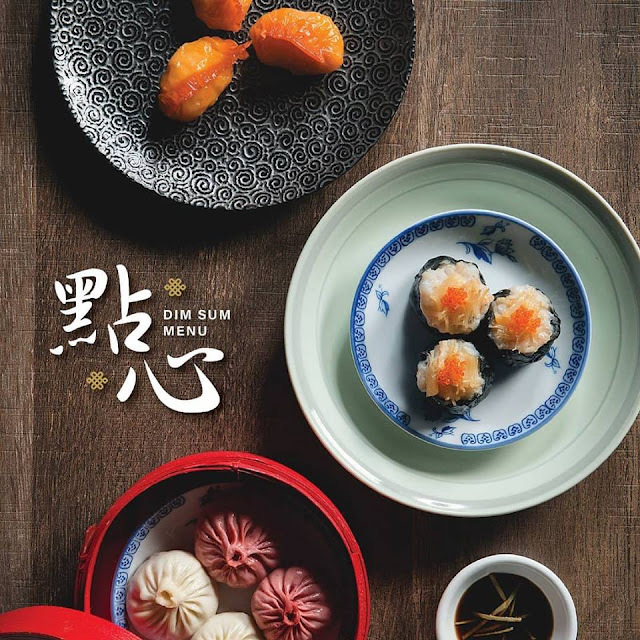 Baskets of piping hot steamed dumplings and steamed baos to fried dumplings, pastries, congee and more, there’s classic dim sum along with some modern creations as well to satisfy foodies of all ages. This promotion is currently available on weekends till further notice by Celestial Dynasty so make sure to call before you go to confirm on this promotion. Dim sum shown in photos are several portions combined for few orders. Most steamed dim sum comes in quantity of two or three, depending on the variety. Prices listed as regular prices when the promotion is not applicable. Many of the dim sum are well-made with good markings of flavours and textures. Tuck into classic steamed dim sum like Steamed Siew Mai with Dried Scallop (RM12.80) and Steamed Double Flavours Siew Long Pau (RM12.80). Both has withstood the test of time and is a constant favorite on most tables in the dim sum scene. The pretty and dainty Steamed White Cabbage with Prawn Meat Dumpling (RM12.80) with Steamed Crystal Prawn Dumpling (RM11.80) are filled with sweet and bouncy prawn fillings. One of the dim sum that warrants an order is the steamed baos. Fluffy and light Steamed Char Siew Bun (RM8.80) filled with sticky sweet and savory char siew filling won much ravings from the diners that evening. The Steamed Egg Yolk Bun (RM8.80) was also moreish and delicious with its liquid salted egg sauce. Steamed Bean Curd Roll with Superior Oyster Sauce (RM11.80) is another classic dim sum to try on the list. More on the list to try are Pan-fried Shanghai Dumpling (RM11.80) and Deep-fried Prawn Meat with Jackfruit Roll (RM11.80). The Fried Sesame Ball with Sweet Potato and Cheese (RM11.80) features an unusual combination off sweet potato and cheese instead of the usual lotus paste or red bean paste. The test is lovely with the creamy sweet potato mash pairing well with the cheese note. Catch the value-for-money Celestial Dynasty RM5 Weekend Dim Sum promotion before it runs out!